W A Cooper's name on Thiepval Memorial. William Alma Cooper was born on 7th August 1894, the son of Alfred and Jane Cooper, of 24, Broadway, Tilbury. He initially attended Tilbury Council school and moved on to Palmer’s in the autumn of 1907. He was an able student and passed the London University matriculation. He taught at Palmer’s and subsequently at the Tilbury Council School. At the outbreak of the Great War, he attempted to enlist but was initially refused permission to do so by the Essex Education Committee. 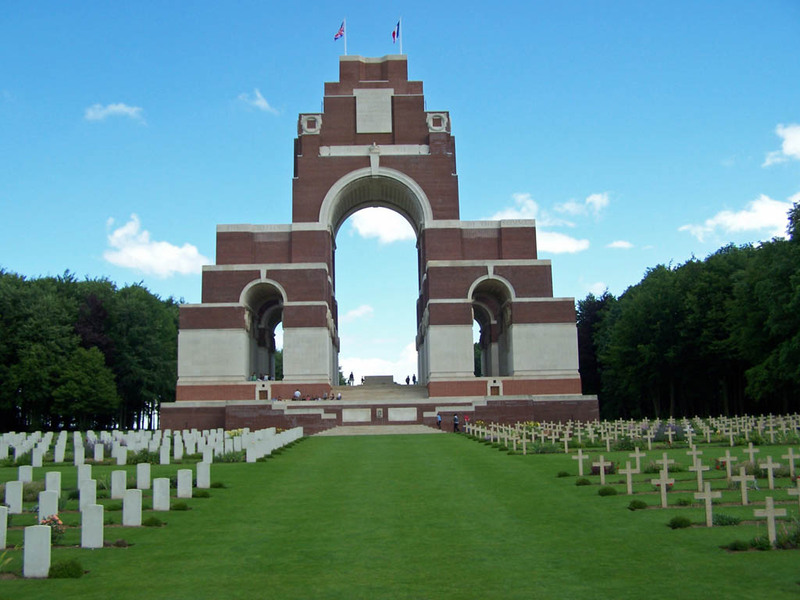 He eventually joined the 1st/15th Battalion of the London Regiment (Prince of Wales’ Own Civil Service Rifles). 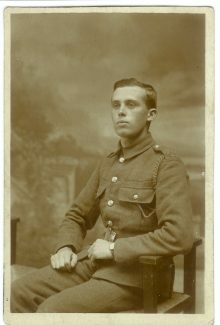 The photo of him in uniform was taken by a photographer in Southend-on-Sea, probably on his last leave before embarkation to Le Havre. He was in France by 10th November 1915. He wrote from the front to the Grays and Tilbury Gazette. In January 1916, he described life in the trenches near Loos - being on the receiving end of German trench mortars and shelling. In February 1916, he wrote about the Germans in the opposing trenches celebrating the Kaiser’s birthday with two days of shelling. In March the unit had moved to near Vimy Ridge. He describes the severe cold and snow, and mentions an air duel he had witnessed. In April, he mentions a brief, local (and unofficial) truce to enable both sides to complete their trenches. In May, he talks about the end of this truce and the consequent need to keep his head down to avoid snipers. In a letter published on the 20th May, he describes the effect of an exploding mine close to his trench. This was his last letter and in November, the Gazette reported that he was missing; his body was never recovered. 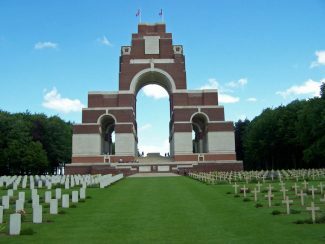 He was killed during the Battle of the Somme in the attack on High Wood on 15th September 1916. 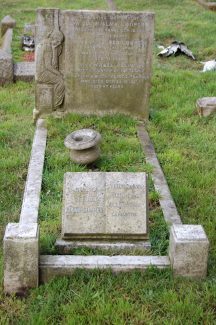 His name appears on the Thiepval memorial and there is a memorial to him on a headstone to the Cooper family, on the west side of Chadwell church. 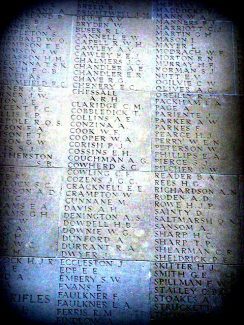 His name also appears on the Tilbury (Civic Square), Little Thurrock (Turp’s Corner) and Palmer’s Memorials – see his entry on the Find A Grave web site for more photos. The Grays library has microfilm copies of the Gazette, where more detail from his letters is available.